PM Modi's speech seemed to keep in mind the elections in three northeast states this month and a possibility of early general elections. Some also saw an attempt to match up to the 'Biswa Bangla' investor summit organised by BJP's rival Mamata Banerjee in West Bengal. PM Narendra Modi inaugurated Assam's investor summit titled Advantage Assam. 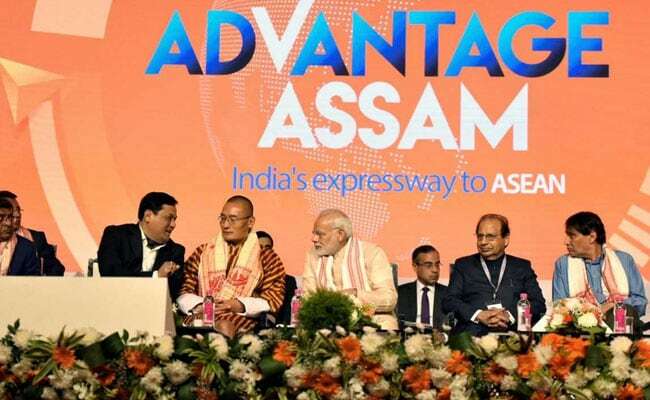 Guwahati: Prime Minister Narendra Modi opened Advantage Assam, the two day maiden global business summit of Assam and the first ever anywhere in northeast, on Saturday. Not just top business tycoons but even Bhutan's Prime Minister Tshering Togbay was among the attendees. "We created the 'Act East' policy and the northeast is at the heart of it. It requires increased people-to-people contacts particularly with ASEAN. The name Advantage Assam is not a statement but it's a holistic vision," PM Modi said in his inaugural speech. His sentiments were seemed to be echoed even by Bhutan's PM Tshering Tobgay who said, "PM Modi has given special attention to Assam. As Assam's immediate neighbour, we are excited since we will also grow. Advantage Assam means Advantage Bhutan." The 'Advantage Assam' summit was also linked to the centre's 'Act East' policy. But some political observers say the BJP and PM Modi had more than just business in mind to help Assam Chief Minister Sarbananda Sonowal launch the massive event. While many expected PM Modi to go beyond rhetoric to explain how this business summit will be a gamechanger for the state, he chose to elaborate on his budget promises. "The government has announced an unique health insurance scheme in the budget. For poor people, the biggest fear is medical treatment. If one family member is critically sick, the entire family is financially burdened. 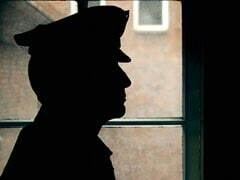 We will end this scenario," PM Modi said in his address. His speech seemed to keep in mind the elections in three northeast states this month and a possibility of early general elections. Some also saw an attempt to match up to the 'Biswa Bangla' investor summit organised by BJP's rival Mamata Banerjee in West Bengal. "The spirit of Vibrant Gujarat has travelled today to Guwahati. The spirit of Sabarmati has flown into Brahmaputra," said Mukesh Ambani, chairman of Reliance Industries, who also showered lavish praise at on Ms Banerjee's government at the Bengal summit. With nearly 200 business agreements in the bag and investment commitments of over Rs 1 lakh crore, the Assam summit certainly holds its own in front Bengal's announcement of 110 memoranda of understanding (MoUs) and over Rs 2 lakh crore of proposed investments. "States should compete and it's good. Let Calcutta try to position itself as a gateway and Guwahati too. And let the best city win," Chairman of SpiceJet Ajay Singh, who too attended the Bengal summit, told NDTV. "I have travelled as a tourist in Northeast but today I am here looking for business opportunities. This itself speaks of the change," said Harshavardhan Neotia, chairman of the Ambuja Neotia Group, headquartered in Kolkata.